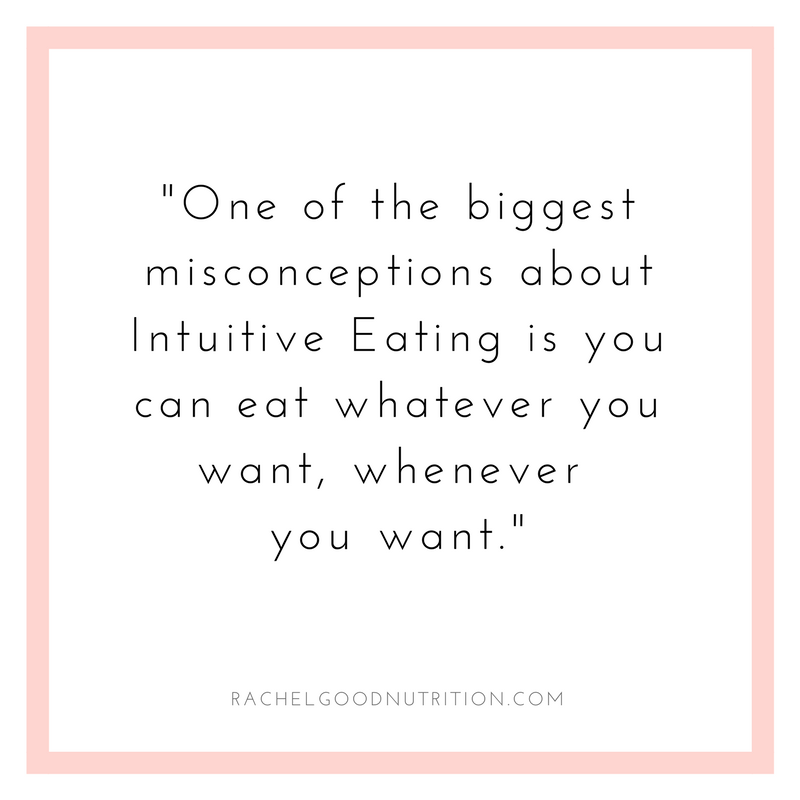 I’ve had people tell me they gave Intuitive Eating a try, only to report that it didn’t work for them. They’ll say, “I tried Intuitive Eating but it just made me feel more out of control. I can’t just have whatever I want because I’ll eat cake, cookies, and chocolate all day. I know myself and I need rules”. They then revert back to dieting, back to the rules and restrictions and continue the diet → eat → repent → repeat cycle. One of the biggest misconceptions about Intuitive Eating is you can eat whatever you want, whenever you want. Full permission to eat all foods is only 1 of 10 Intuitive Eating principles. 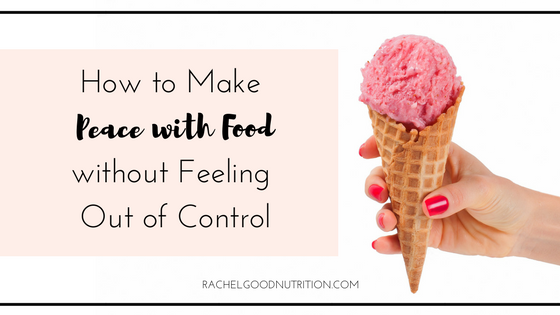 Venturing into Intuitive Eating without the context for “eat whatever you want” can lead you to feeling out of control with food and create frustration that it isn’t “working”. 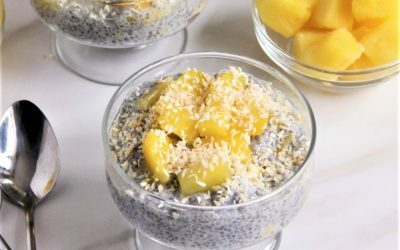 If you’ve tried Intuitive Eating before and it made you feel out control – here are a few things you need to know before making peace with food. 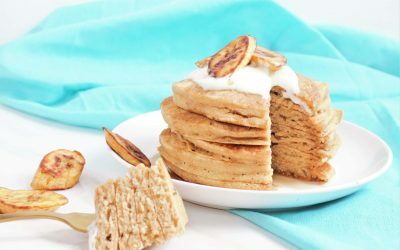 You need to leave diets behind… for good! If you are secretly hoping to use Intuitive Eating as a weight loss tool, it will become just another diet. Ultimately external factors (weight, guilt, food rules, skirt size) will override listening to your internal cues and you will revert back to diet behaviors (restriction, binging , compensating, etc.). 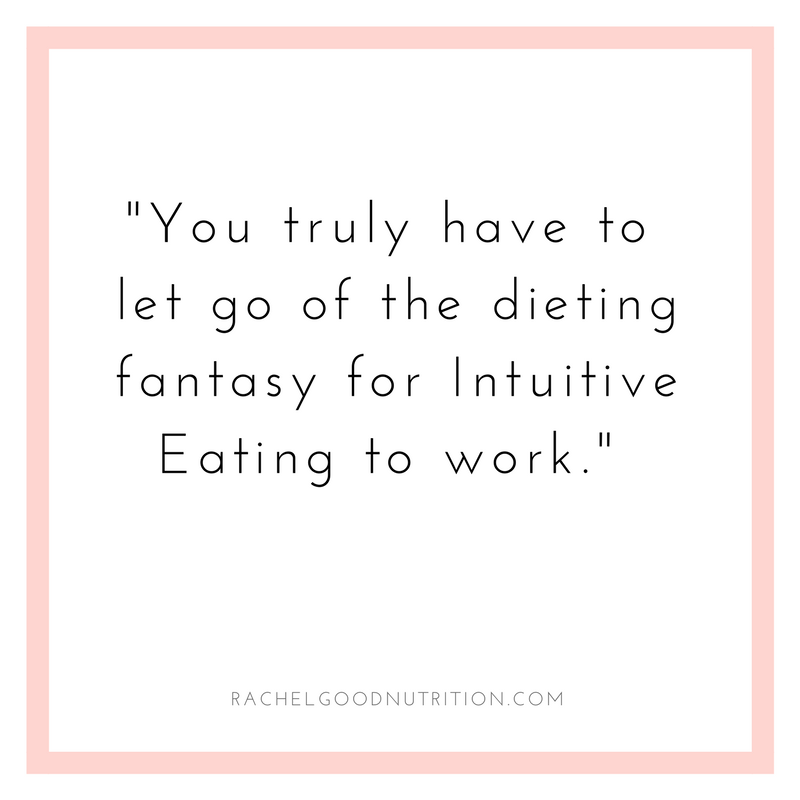 You truly have to let go of the dieting fantasy for Intuitive Eating to work. Diets have been shown over and over again to fail 95% of the time and are a predictor of future weight gain (66% of people end up weighing even more than the weight they started off with), negative body image, and increased risk of eating disorders. The first thing to start working on is your mindset. Learn to silence the food police inside your head. Shut down the thoughts that make you believe “I’m being good for eating a salad” and “I’m bad for having a cookie”. Get rid of diet rules. Instead, approach Intuitive Eating with curiosity and understand that it is a process, one that works if you give yourself the time to build trust in your body and food choices. 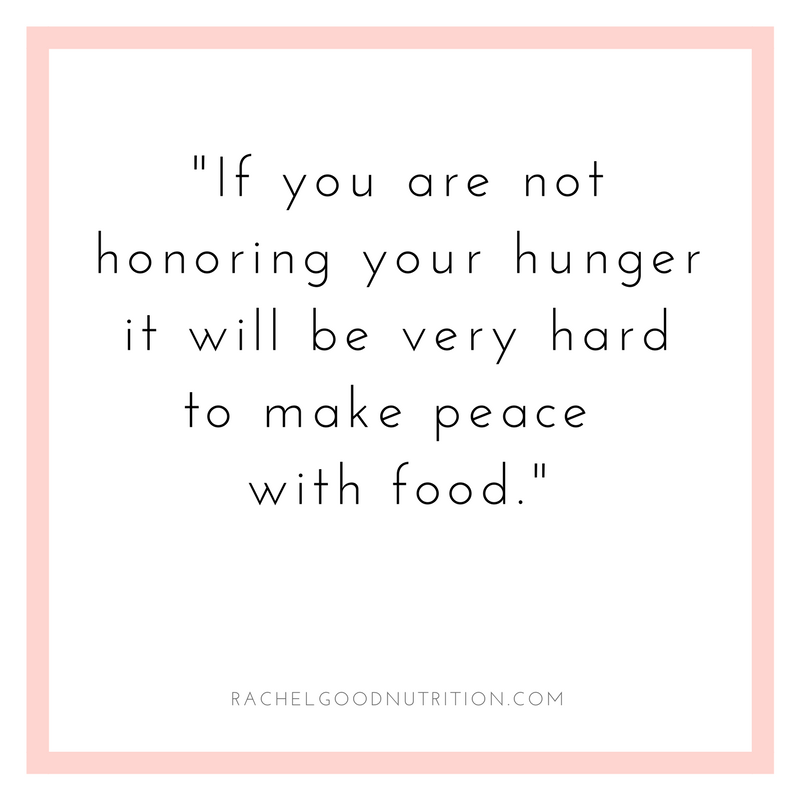 If you are consistently not honoring your hunger in time it will be very hard to make peace with food. When you get overly hungry your body goes into Primal Hunger mode. Primal Hunger is when your body has gone without food for too long and senses it as a threat to survival. At this point all your body wants is food, stat! You are less likely to make conscious food choices and more likely to overeat because your brain is screaming “feed me!”. It needs quick energy and overeating becomes a biological response. On the other side of the spectrum, are your fullness cues. Many of us are used to eating until we are stuffed and consider this sensation as being full. Tuning in to how your body feels once you are finished your meal can help you figure out just how much food your body really needs. It is also important to note how the food made your body feel – are you feeling energized, sluggish, neutral, or satisfied? Get in touch with your hunger and fullness cues and honor them in time so that you can start to depend on them to let you know when you need to eat and how much is enough. Give yourself full permission to eat – with attunement! Once you have released yourself from diet rules and have started to trust your internal cues, you can start taking steps to make peace with food. This requires you to give yourself full permission to enjoy any and all foods. Our brains like novelty. 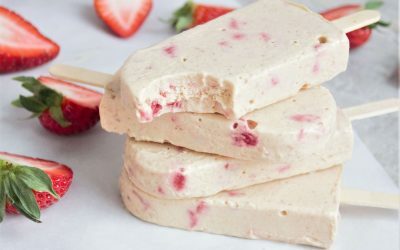 Restricting foods, or telling ourselves we “shouldn’t” be having them, keep them in a novel state so when we do eat the off-limit foods it heightens the reward we experience. 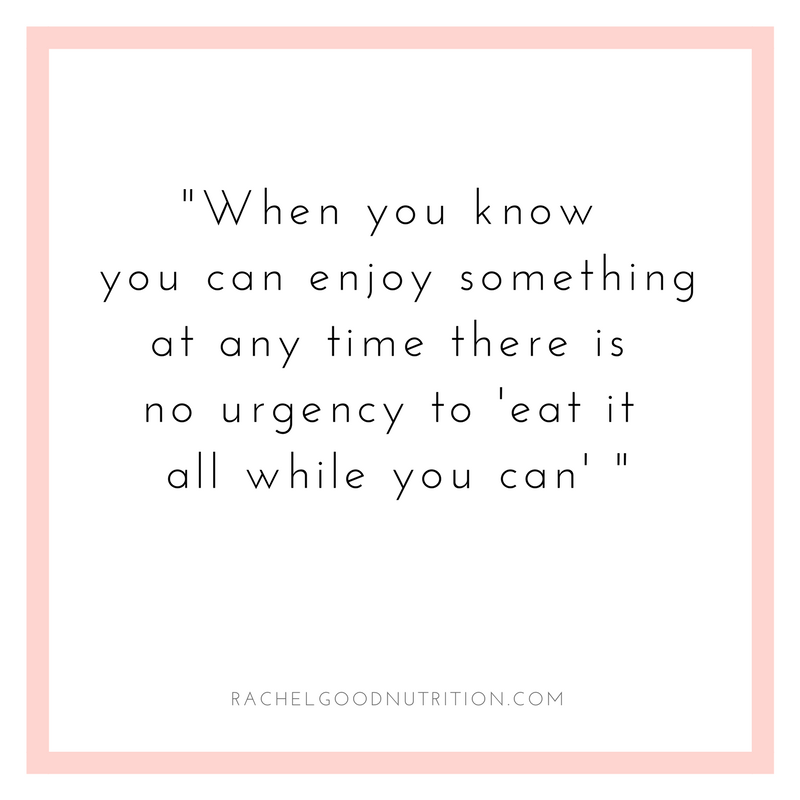 When you know you can enjoy something at any time there is no urgency to “eat it all while you can” because you know they will always be available. Instead, you can start to make food decisions by asking yourself: do I really want this? How will I feel after? Am I hungry? How full am I? Will I enjoy it more if I eat now or wait until later? 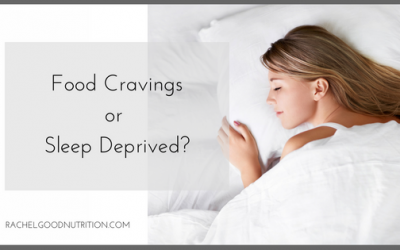 Am I craving it because it tastes good or because I’m stressed out? This is what’s called attunement. You can eat whatever you want, but the part many people miss is that it is on the condition that you tune in to how your body feels and understand where your desire for that food is coming from. If you have a desire to eat but aren’t hungry, most likely this desire for food is for emotional rather than physical reasons. 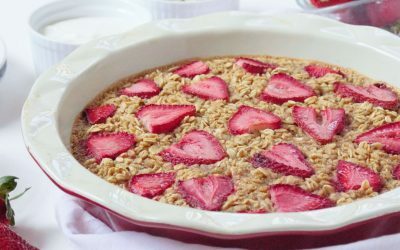 Eating for emotional reasons is not considered Intuitive Eating, in fact it is quite the opposite, and therefore requires you to figure out what your real need is – which likely isn’t food. Consuming the foods you once restricted all at once can feel chaotic and out of control. 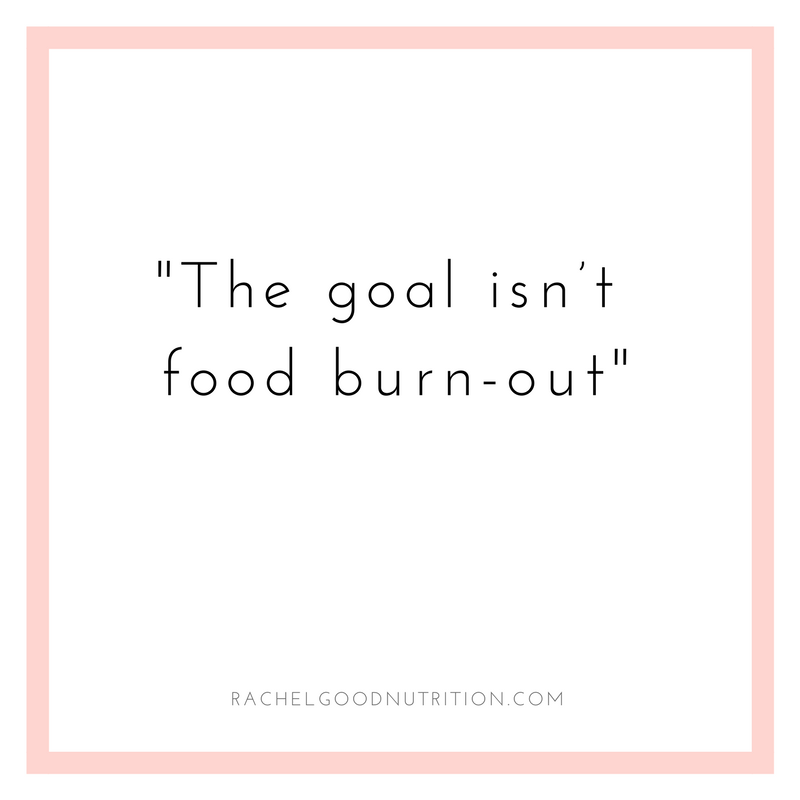 The goal isn’t food burn-out. The goal is to remove the power these foods have on you, so you can make food choices using internal vs external cues. What you want to do is to habituate yourself to foods you view as ‘bad’, ‘off limits’, or are ‘triggers’ to overeating. Habituation means you remove the novelty of that food so it becomes just another food choice to make. The best way to do this is by choosing one food at a time. Choose the food item you want to make peace with and be very specific. 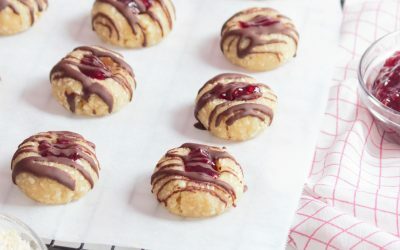 This can be your favorite custard donut or a particular cookie. Schedule a time to eat it. Make sure you feel safe (perhaps you want to be alone or have the food outside the home), are not overly hungry, and are able to stay present. Before, check-in: notice how you feel about eating the food – are you excited? Nervous? Worried? During, check-in: notice the flavor, texture, aroma, and appearance. Is it meeting your expectation? After, check- in: how was the overall experience? Was it as good as you thought? How does your body feel? If you can choose to eat anything, would you want to eat this again? Keep doing this exercise with the same food until you reach the point of habituation: when the novelty and excitement wears off. You will usually sense this as no longer looking forward to eating this all the time, only when you really want it. You may also notice you can eat less of it and be satisfied. Another possibility is realizing you don’t even like it! Repeat with a new food. As you can see, making peace with food is more than “eating whatever you want, whenever you want”. There is thought that goes into this. There is a need for awarenss, which makes all the difference to your behavior around food. What’s important to remember is, Intuitive Eating does not follow a straight line. So even when you take it slow and do everything “right” there may be times where you feel out of control. This is okay, it is part of the process – one which requires you to be patient and kind with yourself. Rather than beating yourself up about it, use it to your advantage. Ask yourself: what made me vulnerable to overeat? Am I subconsciously imposing diet rules on myself? Was I too hungry? Am I emotional? Use it as an opportunity to learn and discover new things about you and your eating habits so that you are better equipped next time. Each eating experience can be used to move you forward toward becoming an Intuitive Eater. If you keep at it you will be on your way to living a truly free life, one where food is joyful and nothing to worry about. Now, doesn’t that sound peaceful? Are You Ready to Make Peace with Food & Live Your Best Life?